Founded in 2004 in Silicon Valley and headquartered in Dallas, Texas, Active-Semi is a rapidly emerging leader in the multi-billion dollar power management IC and intelligent digital motor drive IC markets. The company’s portfolio of analog and mixed signal SoCs (systems-on-chips) are scalable core platforms used in charging, powering and embedded digital control systems for end applications such as industrial, commercial and consumer equipment. The company offers power application microcontrollers, DC/DC, AC/DC, and PMU that significantly reduce solution size and cost while improving system-level reliability. 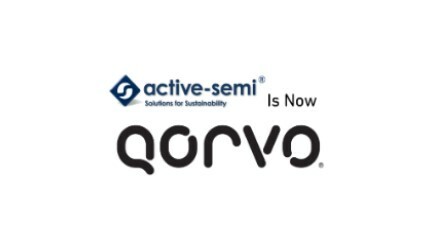 Active-Semi’s turnkey solutions deliver energy-saving power conversion architectures that minimize energy usage and compress system development cycle-time by greater than 50 percent. Active-Semi ships 30 million power ICs per quarter, and has so far shipped 1.5 billion ICs. The multi-national company focuses on commercializing industry leading power management IC solution platforms and has developed broad intellectual property with 155 patents granted and pending. Active-Semi International Inc. is a Cayman Island corporation.